Suburbs. Family. College. Not the typical rapper background, but Osato is anything but the typical rapper. With clever lyrics and ear-tantalizing tracks, Osato creates music that entertains, encourages, and enlightens every listener. His story starts in Denton, Texas, born to two Nigerian immigrants making their way through university. With two older siblings, Osato quickly learned the value of hard work, education, and perseverance. This home also embraced him with love, African culture, and biblical truths from the onset—things that would prove vital to future survival. It wasn’t long before life’s obstacles forced him to take a different approach toward Christianity. From financial crisis, to cancer, to sexual sin, Osato found himself faced with life’s most important decision: Will the captain of life’s ship be self, or Christ? What some may perceive to be a twist of fate, Osato now sees as God’s hand over his life. “My music is like a biography,” he tells. “You can track some songs with times of fruitless hustling… attempts at success without God. Sometimes He uses failure to get your attention.” Those failures compelled Osato to return to his roots. Needless to say, God won Osato’s heart, and sparked a flame in his music. 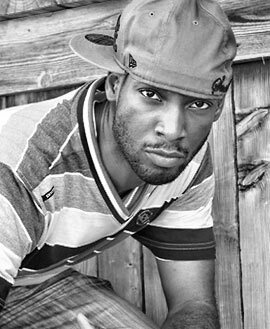 His discography includes the 2009 mixtape “Peep Game;” 2010 album, “worsHIPHOP;” and 2012 album “Feel Good Music,” complete with a plethora of star-studded features, and a remix sequel project. In addition to these, Osato has also appeared on several other projects including the likes of PK Slimz and Gospel Floes. Currently, Osato resides in Arlington, Texas, where he serves on he worship team, and in youth leadership at Grace Community Church. WTK Music is a recording label devoted to a three-fold mission: Make hot music; Preach the Gospel; and Disciple others. Musically, this calls for production of the highest caliber, and lyricism that is clever, memorable, and evangelistic, and redemptive. The kingdom of God doesn’t consist of only talk, but power as well. The Gospel is power and must be preached, not only through the music, but also through personal character and any opportunities for speaking within and outside of the musical arena. WTK Music is in addition committed to aggressively recruiting disciples that may foster community and advance the kingdom of God.